Attention, everyone! I just got an important missive from the DARTZ MOTORZ Press Department. I know it’s important because the subject line reads: 😁😁😁😁. That’s the highest priority for a DARTZ MOTORZ press department email. The body of the email only consisted of the above image, but the message is clear: DARTZ intends to provide the next American President with the limo he deserves. Currently, GM is developing the next “Beast,” the update to the current presidential limousine. Like its predecessor, this new, Cadillac-badged, truck-based limo will retain the understated, black, traditionally presidential look that’s become traditional. As you can imagine, this in no way will meet President Trump’s standards of classiness, which require that the President not be subjected to the indignity of any surface not slathered in gold. It’s possible he’s allergic to contact with non-gold metals, but it’s happened so rarely we just don’t have enough information. 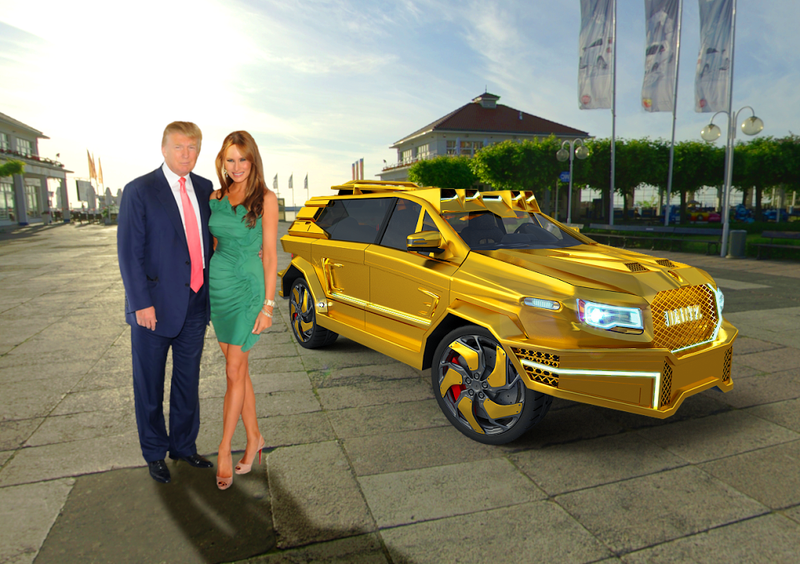 DARTZ’ proposed limo will solve these issues, and it appears to be based on the tried-and-true Prombon platform, which should provide the ability to take the President anywhere he needs to go. While no details of the interior have been specified, I’m sure that if President Trump requests to be surrounded by whale foreskin leather, that can be made a reality. Sure, traditionally Presidential limos have been sourced from the U.S. instead of Eastern European providers, but since this barrier has already been broken with the choice of First Lady, I’m sure another part of the Presidential team from Eastern Europe won’t be a big deal. Look out, GM! Dartz is going to eat your lunch! 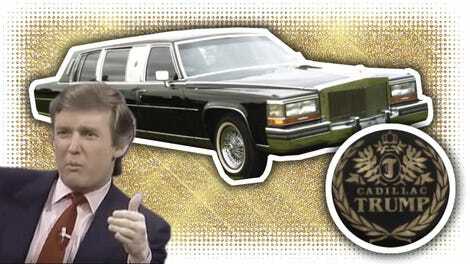 Why Are We Still Pretending The President&apos;s Limousine Needs To Be A Car?